This same series of events most probably also affected Coronation Street fans, only their hearts dropped. The NHL takes over their beloved time spot. Tant pis for you. But is this truly something to celebrate? 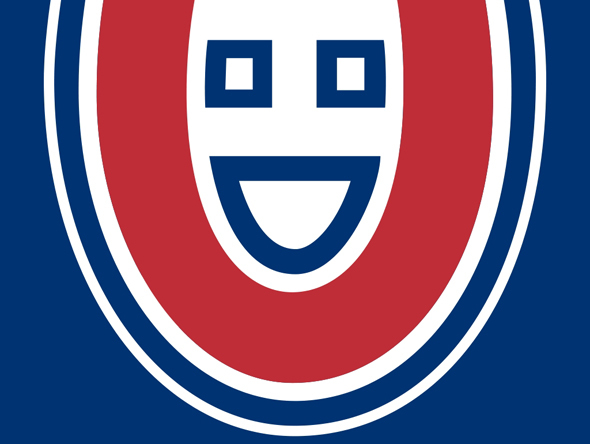 The MontrÃ©al Canadiens only won 2 of their 8 pre-season games, with the last being their only convincing win. We can certainly chalk some of this up to the Bulldogs rookies who are not in the lineup, or Carey Price's "working out the kinks", but it certainly must put a damper on team spirit going into their first regular season game tonight with the Toronto Maple Leafs. The highs are of course that last win against Tampa Bay, when the team's roster was fairly complete, and all the baggage shed down to the lower leagues. Michael Cammalleri was solid. Gomez showed signs of a resurgence from his lull. Gorges and Pacioretty are back. Subban is as energetic as ever. Newcomer Eric Cole feels like an offensive line Wisniewski. It was disappointing that three players were not seen and likely won't make the opener. Markov is no big surprise: I would wager his hockey days are numbered. Other no-shows were Eller and White who are both recovering from minor injuries and should be back sometime this Fall. The greatest challenge for the Canadiens will be defence. We have some great players in Subban, Gill, Gorges and Spacek, but Markov's salary-consuming absence has been a tumor on our defensive lineup for the past year. The other unknown is Carey Price. His performance in this pre-season was that of a backup goalie. Yet, he surprised us last year by coming out of a bad pre-season with an incredible showing. Personally, I think he's still battling off some Halakian demons. This will be the third season with the MontrÃ©al Canadiens' new team. So far, while they have never been considered a dangerous team in the regular season, their last two playoff showings were strong. It may have been beginner's luck (and Halak) that got us to the Eastern Conference finals in 2009-10, but even without Halak, we gave Cup-winners the Boston Bruins a seven-game run in 2010-11. If Gomez is back on his game and Price comes into his own... well, let's not jinx it. Tonight's game vs. the Toronto Maple Leafs is at 7pm. Do yourself a favour: watch it on RDS. you're going to a well-known blogger in the event you aren't already. your thoughts before writing. I've had a difficult time clearing my mind in getting my thoughts out there.